Now that I've covered the basics of pressure cooking and shared a number of recipes, it's time to try something original. My pressure cooker (and I suspect most others) include a chart of recommended cooking times for most ingredients. Using that information, plus guidance on a minimum amount of liquid needed, can allow you invent your own recipes for making something delicious in the pressure cooker. You can use the pressure cooker like any other pot on the stove to first brown meats and vegetables as shown above. Below, the paprikash just after it's finished pressure cooking. I've always wanted to try chicken paprikash, a traditional Hungarian stew of chicken, vegetables and paprika, which seems perfect for a pressure cooker. I came up with this recipe after consulting a number of recipes I found online. 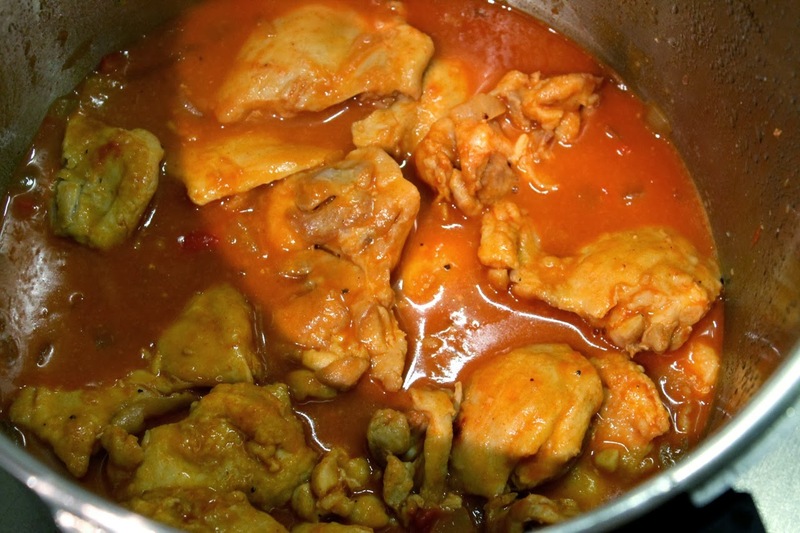 Here, I've dredged the chicken in flour before browning it, which also helps thicken the sauce. I kept the spice mix pretty simple to just focus on paprika. A word on that: there are lots of varieties of paprika available now. 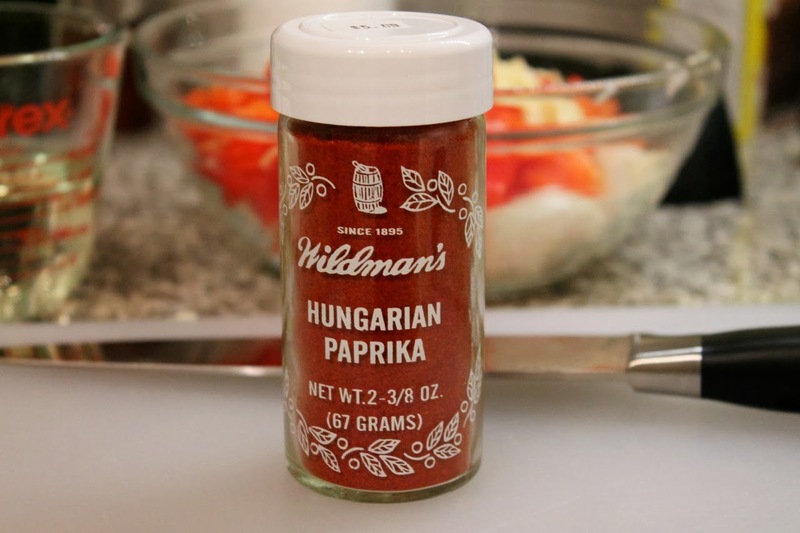 For this dish, I recommend a traditional sweet Hungarian paprika. I definitely wouldn't use a hot paprika and, as much as I like it, smoked paprika doesn't seem right for this dish either. I served my paprikash over roasted spaghetti squash. Egg noodles or mashed potatoes would be good as well. 1. Add olive oil to the pressure cooker and heat over medium-high heat. Pat the chicken dry with paper towels. Put the flour in a shallow bowl and dredge the chicken thighs in the flour. Brown the chicken in the hot oil in batches (probably 3 or 4), cooking about 2 minutes per side. Transfer chicken to a plate. 2. 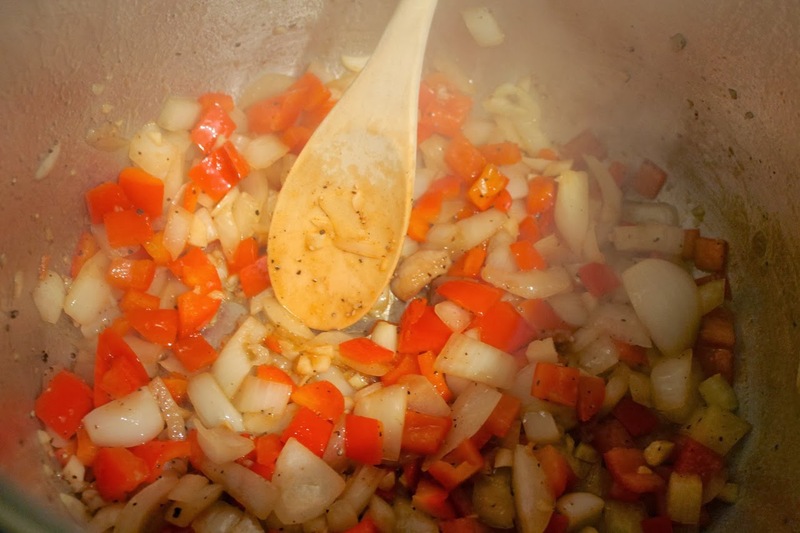 Add onion, red pepper and garlic to the pot and cook, stirring frequently, until the vegetables are soft and starting to brown. Add the paprika and cook until fragrant, about a minute. Add the wine and tomato paste and season with salt and pepper. 3. Return the chicken to the pot. Lock the lid into place and continue cooking over medium-high heat until high pressure is achieved. Then reduce the heat to medium-low and cook for 10 minutes at high pressure, adjusting heat as necessary to maintain high pressure. 4. Depressurize the pressure cooker by place it in the sink and running cold water over the lid. Once pressure is released, carefully remove the lid so that any remaining steam is released away from you. Stir in the yogurt. 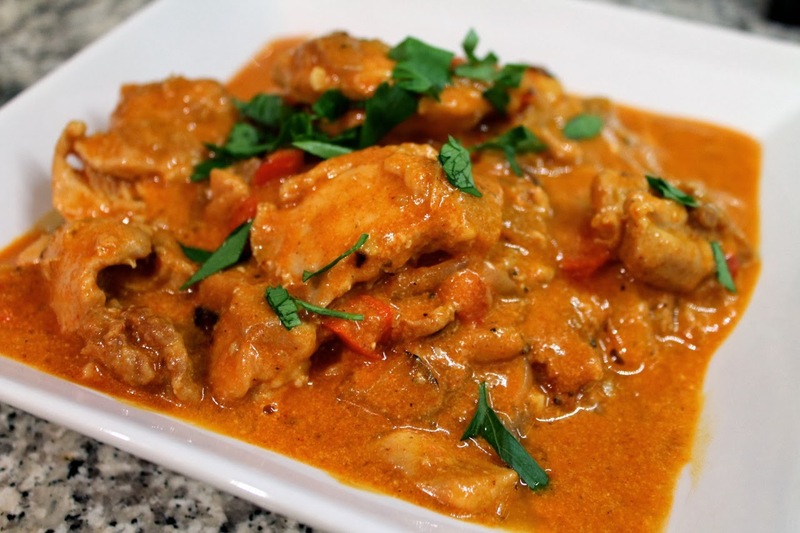 Serve the paprikash in shallow bowls topped with fresh chopped parsley. This was really delicious. I guess I need to be less fearful of your pressure cooker, given how you've used it to prepare so many great dishes.